Carrying your lock with you on your bike can be something of a pain, but its the one thing you definitely can’t leave behind. 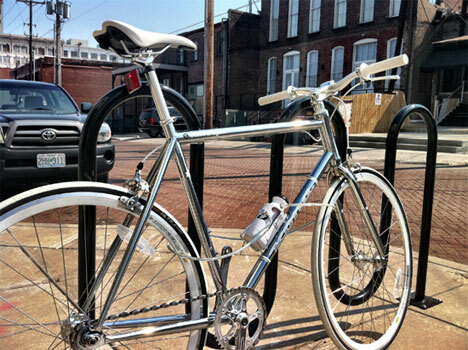 The Küat lock is shaped just like a water bottle so it fits right into your bike’s water rack. You can easily carry your lock with you without worrying about finding an out-of-the-way place for it. 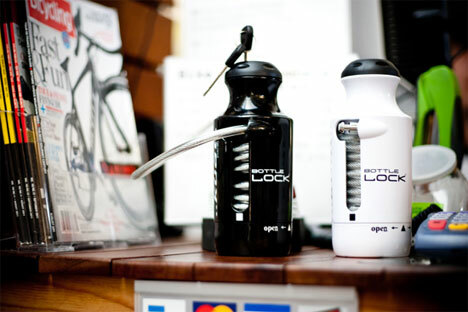 A retractable five-foot-long steel cable lies coiled inside of the faux water bottle, ready to come out and protect your precious wheels wherever you decide to stop. There’s also a removable bottom so you can hide a bit of cash and maybe a key or two. Of course, if you go for this unique lock you’ll need a new place to stash your real water bottle – but at least your bike will be safe.